Traveling? Wish your recurring tasks lined up with a remote team? Now you can manually set your personal time zone within the profile settings page! Syntax highlighting and quotes are now supported in the comment editor! 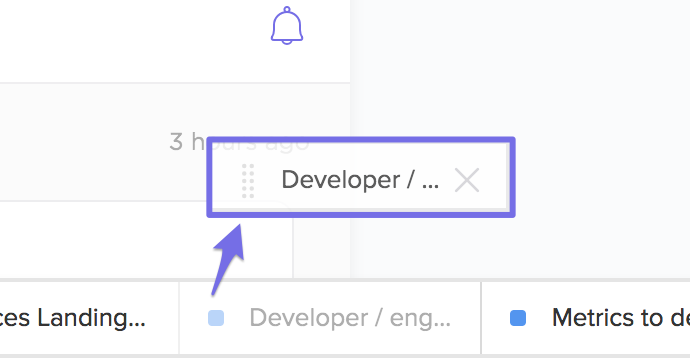 Organize the tasks in your tray by dragging and dropping with the new task handle. Everhour is the fastest growing time tracking app in the market. Connect Everhour with ClickUp to track, edit, and estimate time in your tasks. Their dashboard provides insight into project budget and extremely flexible reporting. Everhour even offers a live view that let's you see where time is being tracked by your team in the moment. More stable task mentions in comments. You should no longer experience your mouse jumping to unexpected areas when mentioning a task. Use Cmd + enter (Mac) or Ctrl + enter (Windows) to save and open a subtask from Task View. When changes are made to a recurring task's settings, see those changes in the activity logs. More detailed information about recurring task activity (recurrence triggers, new tasks, and due date changes) are now logged in the task as well. Evernote links now work without issue! Be free to link notes in ClickUp!